Burnt brings a polished, beautiful presentation to the table through Starz/Anchor Bay's 2.35:1-framed, 1080p AVC treatment, though not without a few imperfections that might throw Adam Jones off the rails here and there. The most appealing an colorful elements of the transfer naturally come in the food, a striking array capably projected by the Blu-ray: the vivid greens of a foamy tarragon drink and salad; the yellows of tiny mushrooms; the bold reds and browns of seared meat and radishes. White garments and steel surfaces are far more frequent, though, which capably blend with the contrast balance for clean, bright, and natural grayscale shades. Other black levels err to the bluish side of things, though, noticeable in both mid-range and darker sequences. Close-ups reveal admirable but unremarkable skin tones, but the crispness of details is worth commending, from the stubble on Bradley Cooper's face to strands of Sienna Miller's hair. Expected degrees of digital smoothness don't detract from the transfers clarity too much, rendering a sufficiently appetizing high-definition transfer. The preparation of food invites a cornucopia of little sound effects, from the sear of meat to the shuffling of plates, all little delights to be discovered in this 5.1 DTS-HD Master Audio track. The bustle of a busy kitchen engages the full breadth of the surround channels, with clanking dinnerware and sizzling plates replicating the experience of maneuvering around the cramped space. Harder effects, like the smashing of plates against the wall or the slam of metal pans against the surface, deliver a natural and resonant punch. Verbal clarity remains moderately clear and aware of mid-range bass levels, though it could handle the transparency of European accents a tad better. Energetic music keeps the film's pace going with robust rhythm and delicate atmosphere. Audibility could be taken a notch higher and the effects could be fuller, but by and large Burnt delivers in the areas where it needs. Subtitles appear throughout the film in French and Italian, but are available in full English and Spanish subs, as well as a Spanish 5.1 track. A dryly insightful Audio Commentary with Director John Wells and Executive Chef Consultant Marcus Wareing alternates between discussing the actual production of the film and the realities of operating a kitchen like that in Burnt. Wells touches on locations and researching the hours and operations of the profession, while coaxing further elaboration out of Wareing about the arduous days, the life of a young upstart in the culinary world, and how many chefs like Adam Jones are out there in the industry. The tempo remains very low-key and the topics get drawn out across scenes, but the info they reveal about how they reached the authenticity in the film manages to hold one's attention enough to stick with it in spurts. 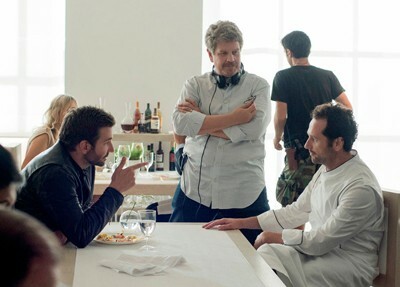 The rest of the extras are led off by fairly general but enjoyable press-kit feature, In the Kitchen with Bradley Cooper (23:51, 16x9 HD), though the collection of behind-the-scenes images, interviews, and extensive clips from the film aren't as closely centered on the actor as it sounds. It does, however, explore the details that went into making the cooking and operations look as genuine and accurate as possible, from presentation to the pains and hours. 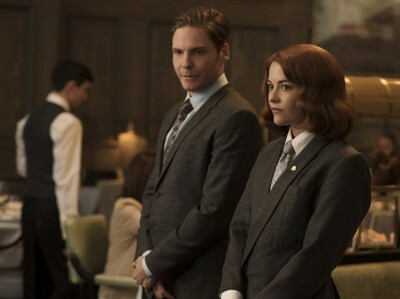 Director John Wells, consultant Marcus Wareing, Bradley Cooper, Sienna Miller, and other cast and crew make appearances as they discuss the plot, tone, and craftsmanship of the film. Also available are a trio of Q&A Highlights with Director and Cast (23:45, 16x9 HD), conducted at the Screen Actors Guild and the NYC Wine and Food Festival in October of 2015: the first features Bradley Cooper elaborating on the film and his process; the second expands to the director and cast for a broader-scoped discussion; and the third features four of the actors. Five Deleted Scenes (9:59, 16x9 HD) with optional director's commentary round out the supplements. If the only intention of Burnt was to make television chefs look less flagrant and more even-tempered, then director John Wells would've succeeded with flying colors. His depiction of a notorious-yet-talented cook who's out to remove the tarnish from his name also captures the energy of an upscale kitchen splendidly, aptly supported by Cooper and the rest of the actors. Watching how Adam Jones unleashes his arrogant, demanding personality upon those around him -- and seeing how everyone caves to his whims -- makes for an unsatisfying character drama stuffed with cliches, though, one that loses the flavor of its redemption story along the way. Starz/Anchor Bay present Burnt in an appealing audiovisual package with a menu of fine special features, including an audio commentary and a collection of Q&A responses, but the journey into Adam Jones's vicious kitchen isn't one worth taking more than once or twice. Rent It.